Virtual reality is all the rage these days making all of us want to experience the world of virtual reality without having to spend an arm and a leg over this fancy new gadget. Is it possible then to experience the wonderland of VR without shedding thousands of dollars? It definitely is! Last year, the team of I AM CARDBOARD launched a Kickstarter campaign to fund their ambitious project of developing a VR headset that wasn’t only cheap but also durable. 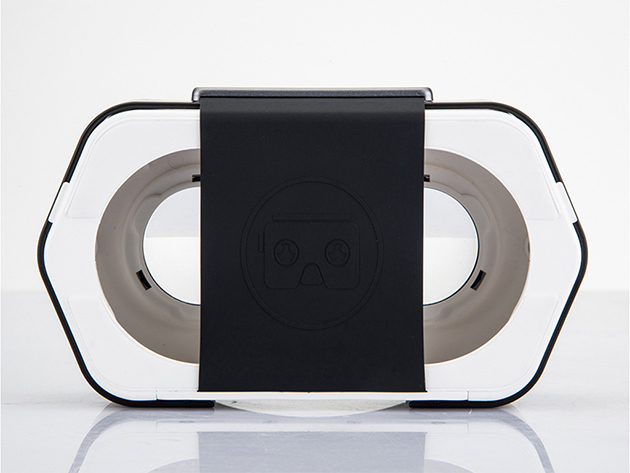 Unlike Google’s Cardboard, DSCVR headset is travel-friendly as it’s constructed from ABS plastic. 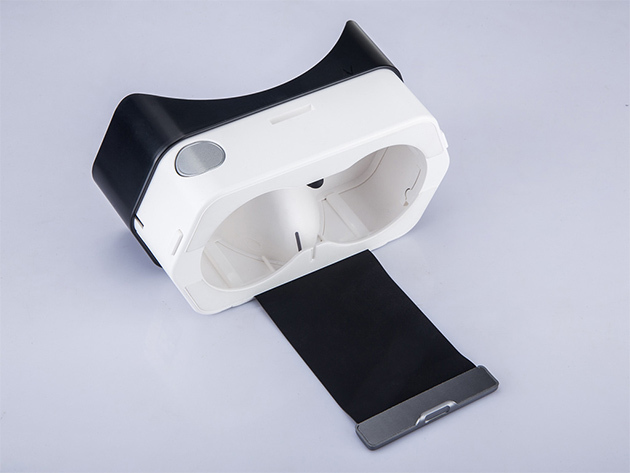 Compatible with all the Google Cardboard apps, this DSCVR VR headset works with both the Android and iOS smartphones, supporting even the larger sizes of a Nexus 6 or an iPhone 6s Plus. Need even more reasons to dive in and get your hands on this beautifully constructed VR headset? Wccftech Deals is offering a 16% discount on the roadworthy DSCVR headset. The device retails for $30, however, with Wccftech Deals you can experience virtual reality content for just $24.99. Here’s how the makers of this travel-friendly, durable and inexpensive DSCVR VR headset explain their creation. Many virtual reality headsets retail for thousands of dollars and are overly confusing to operate. The DSCVR bucks this trend with its affordable price point, easy usability, and epic features. Embark on your next virtual journey using either an iOS or Android phone, and take it on-the-go thanks to its super-portable design. This device is a must-have if you want to experience immersive virtual reality without breaking the bank. Head over to Wccftech Deals and grab this awesomelicious VR headset for yourself or as a gift for your geeky loved ones. The deal price includes the DSCVR headset and the travel case.